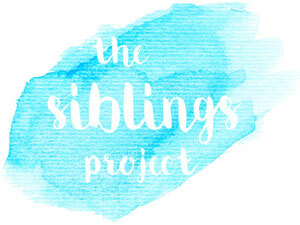 I'm so happy to be back again for another year of the Siblings photography project. I think I've been taking a photo of the kids each month since 2015 and it's been amazing to be able to look at each month's photo and see the change in each of them. It's starting to worry me that Osh is almost 13, when he's 18 the girls will only be 12 and 10 - will he still be a willing participant by then? I'm obviously still going to want a photo of the three of them each month, I hope he realises that. This weekend, I had a Sunday off and assumed I'd find somewhere nice to go for a day out and that I'd get a photo taken while we were there. But I noticed on Facebook that there were quite a few people had been to the cinema to watch Mary Poppins Returns. Given that Sundays in January are usually cold and miserable, the cinema seemed like the perfect place to spend the afternoon. This, of course, meant we wouldn't be anywhere near a pretty backdrop for my Siblings photo. But it was worth it to have spent a chilled out afternoon watching a film together. Then we came home and I made a roast dinner, we had an extra guest as my Nain joined us for dinner. Isabella seems to be growing up at an alarming rate. Martha is still by Baby girl, Osh has been taller than me for a few months already, but Isabella is the one I see changing in front of my eyes. Her attitude, her sense of self, her style. She is 7 going on 17. I am so glad that we are on the next stage of parenting, that we're out of the changing bags and bottle feeding stage making days out a whole load easier - though it does make me sad that we've only got a few years left where our kids actually need us. Hopefully, this will be the only indoor photo taken this year. I really want to make most of our National Trust passes this year, I also want to make sure we don't waste a moment of our time together by having too many lazy days at home (I will be sure to schedule a few of those in every now and again though) But life is life, some months I find that we don't have a free day together to go anywhere Instagram worthy because I'm at work at the weekend, and a photo on the sofa in the lounge is better than no photo at all. So here's to another year of The Siblings Project, I can't wait to see where 2019 take us.